Featured in Scoop.it! 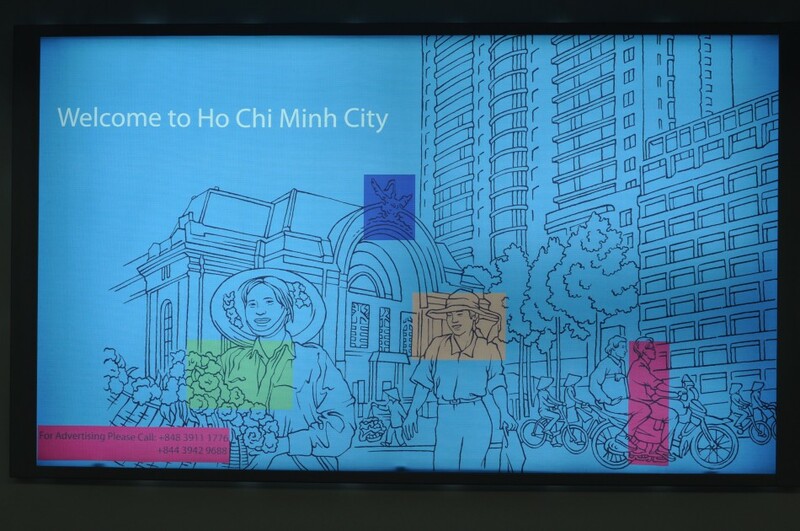 A new research project led by Annette Kim, Ford International Career Development Professor of Urban Studies and Planning at MIT, is setting out to celebrate and legitimize the sidewalk life of Ho Chi Minh City by mapping what it does and what it contributes to the life of the city. The effort bridges urban design and social science research while also aiming to make a practical intervention in the city’s landscape. 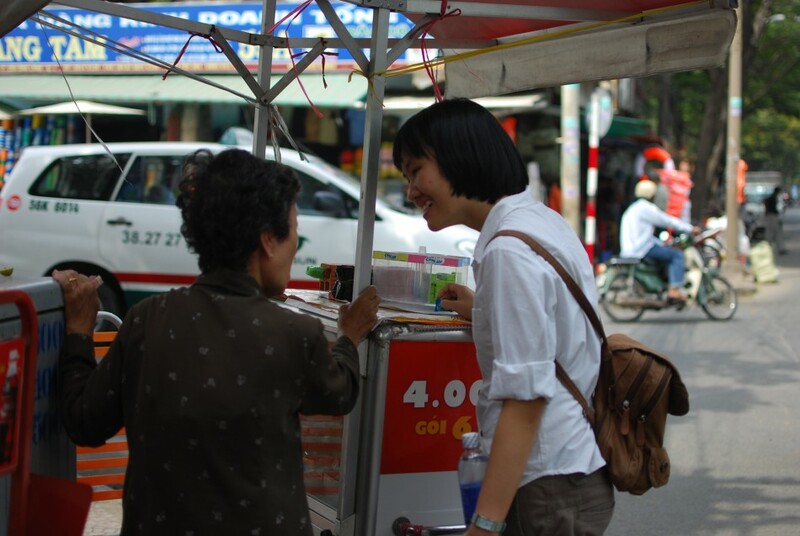 A new research project led by Annette Kim, Ford International Career Development Professor of Urban Studies and Planning, is setting out to celebrate and legitimize the sidewalk life of Ho Chi Minh City by mapping what it does and what it contributes to the life of the city. The effort bridges urban design and social science research while also aiming to make a practical intervention in the cityâs landscape. 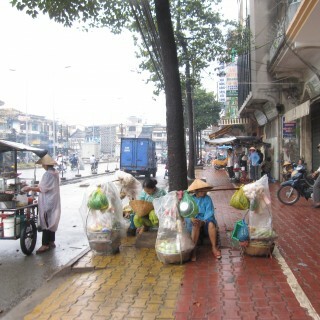 In spite of the fact that street vendors provide 30% of the cityâs food and account for 30% of its employment, a series of recent decisions by the Vietnamese government is attempting to clear the sidewalks of vendors in a move to modernize the city and appeal to tourists. Based on conventions of traffic engineering that see anything on the sidewalk as an impediment to flow, planners are of the opinion that tourists donât want these crowded sidewalks. But research shows that the lively sidewalk life of Ho Chi Minh City is a vital part of the cityâs appeal and represents an amenity many westerners strive to create at home. While the Vietnamese are a highly literate people, for instance, they also have an elaborate and colorful language of non-verbal symbols that enlivens the culture of their streets: crumpled paper in a brick means someone nearby can sell you gas for your moped; someone rattling a wooden snake is saying s/he could give you a massage; someone tapping a ceramic bowl with chopsticks is saying s/he can sell you a noodle dish; and a freestanding sculpture of tire wheels means you can get your moped repaired close by. The symbols change from year to year but people are so chatty you can always get the latest interpretation. While the cityâs indigenous public views sidewalk activity as a longstanding part of their culture and appreciates the low-cost goods and services street vendors provide, so far they seem unsure how to react to the new rules except to find marginal ways to work around them. And because the vendor’s claim to sidewalk space never appears on planner’s maps, it is easy for them to be simply cleared rather than recognized and managed. Thanks for sharing this informative post. I am completely convinced with this thought. I will stay in touch for more information. According to my opinion urban planning and city planning is the physical development of city and town. It is important aspect of plan the future of city.